Told mostly in first person past (with brief lapses into first person present) by the heroine, Jane Eyre, the book was originally subtitled An Autobiography. It begins with Jane as a young girl of ten years as an orphan living with her Aunt Reed at Gateshead Hall. Her parents died several years earlier and she was taken on by her Uncle Reed as a ward of the family. After her uncle’s death, she lives in misery as an obstinate, sullen girl and is mistreated by her aunt and her three cousins. Her only friend is her governess, Bessie, who is also stern, but not malicious. After a series of incidents, she is packed off to Lowood Institution, a school for girls run by Reverend Brocklehurst, a miserly man who starves and treats the girls to a form of discipline that would put him in jail today. She makes friends with a girl named Helen, who accepts her own punishments meekly, knowing that God sees that she is righteous and will reward her when she goes to heaven, which she does sooner rather than later when an epidemic of typhus ravages the school and she dies of “consumption.” Under investigation, the school must change its practices and Jane receives a fair education and teaches at the school for two years after she finishes her six years as a student. Now eighteen and wishing to find a place for herself in the world, she places an advertisement looking for work as a governess and is hired to work at Thornfield Hall. When she arrives, the housekeeper, Mrs. Fairfax, informs her that she will be educating a French child named Adele, who is a ward of the master of the house, Mr. Rochester. When Rochester finally arrives at Thornfield from one of his travels, he is abrupt with Jane, but comes to think very fondly of her. He tells her of his disappointment with the world and of his affair with a French dancer, who claimed that Adele was his child. When the little girl was abandoned, he decided to make her his ward. He seems a very tortured sort of man, but comes to value his time with Jane, seeking her conversation every evening. She is honest and open with him, blunt at times, and he appreciates her manner. During her stay at Thornfield, her Aunt Reed falls ill and summons her back to attend her while she’s dying. Jane finds out that her male cousin has himself committed suicide after failing to control his drinking and debauchery. She finds a truce with her female cousins and forgives Aunt Reed before she dies. She has learned this forbearance from her friendship with Helen at Lowood. Before her aunt’s death, she learns of another uncle who wishes to contact her, but she doesn’t follow up on it. Thornfield Hall is definitely a strange place. When Jane hears laughter on the third floor, it turns out to be a most unusual woman named Grace Poole, who is employed as a seamstress. Jane grows closer to Mr. Rochester, but one night discovers his room afire. She puts it out and he counsels her to silence on the matter. Rochester manipulates her into thinking he is serious about marrying a beautiful society lady in order to make her jealous. It works and Jane grows to love him. Finally, he asks her to marry him, but on the alter, another calamity occurs that turns the plot on its head and sends Jane off to an entirely different life. The delights of this novel are plentiful, so much so that it is almost impossible to put down. The prose is stellar. It carries one along as on a gentle English breeze. The story is an utterly engaging Gothic romance, full of thrilling mystery and great characters. It takes the time required to unfold a handful of prickly themes and it does so in a voice that completely engages the reader from beginning to end. In all of these regards, it is an undisputed masterpiece. For the modern reader, however, there are certain drawbacks. The length is a serious issue. As with most novels of the early 19th Century, it was published in multiple volumes, three to be exact. It should have been edited quite a bit. There are long, convoluted sentences, which were the style of the time (see Jane Austen) and at times one must exercise patience in riddling out their meaning. The dialogue is, for the most part, completely unbelievable. People simply don’t talk that way, then or now. The major drawback for me was the constant pounding of the Christian message. It is a highly religious book and I find it laughable that the Quarterly Review, when it first came out, called it a “pre-eminently an anti-Christian composition.” Don’t believe it. This book drips with religious messages. I read the Norton Critical Edition and had to read each and every footnote just to keep up with the Biblical references. It is also funny that one of the characters wants to become a missionary in order to stamp out “superstition.” Toward the end of the novel, this religiosity becomes a very serious problem indeed, interrupting the plot to such a level that the book stops dead to preach for pages on end. Despite these drawbacks, I still found it a marvelous novel, certainly one of the best ever written. Some of the themes were quite revolutionary for the time. 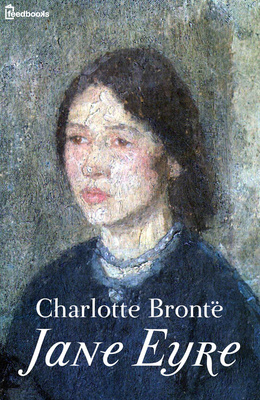 Brontë gets into issues of class, morality, ethics, and feminism that were scandalous fare in 1847 and in that regard she was way ahead of her time, particularly in expounding the theme that a woman could be both independent and equal to men. Each of the men in her life struggles to dominate her and Jane always asserts her own independence. In addition, the writing style, especially the use of first person narration, creates a kind of inner personal universe for Jane that was a breakthrough in style and highly influential on other novelists through the early 20th Century.. It is a truly great novel, even now, and should be on everyone’s reading list. Read my review of the 1996 Franco Zeffirelli movie! Adapting a classic novel to the big screen is always a dicey proposition. The screen writer and director have a limited amount of time, yet there is so much in a classic novel that readers depend on for a satisfying experience. Read my review of the 1997 ITV/A&E movie!